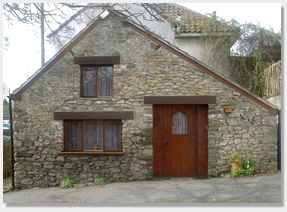 This 17th century converted coach house is situated near the centre of Clevedon, in North Somerset. It is located within a 5 minute walk of the seafront. Conveniently located close to the owners home, it has been thoughtfully renovated to provide comfortable self-catering holiday accommodation for 2/4 people. 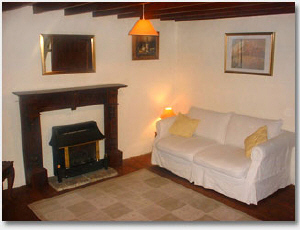 This self-catering holiday cottage is available for weekly lets and short weekend breaks. It is also available for temporary accommodation during a house move, or for work. Contact us for short term tenancy options. Clevedon is a quiet Victorian seaside town located in North Somerset within easy reach of many places of interest including: Bristol (12 miles), Bath (18 miles), Wales and Cheddar. Clevedon Court (NT) is close by and Weston-Super-Mare is 8 miles away. Clevedon has one of the of the finest surviving Victorian piers in the country and the oldest purpose built continuously operated cinema in the world. There are a good selection of shops, pubs and restaurants within walking distance. As the owner has a dog of her own, only well behaved dogs are allowed. Please note that the accommodation is not suitable for children. Heating at the cottage is via a gas fire. The prices below include all charges for heating. Short breaks are available, please contact us for further details.